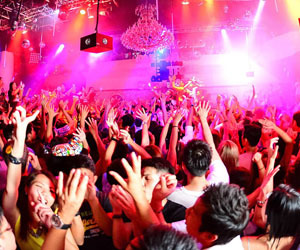 Clubbing here in Singapore I have found to be great fun with all the different types for places there are to visit. Not that Singapore is any different than any other country and in some way is lacking a few things but make up for that in other areas, I fell over all for its size Singapore does a great job in the party scene. With the growth of casinos in Singapore, an exciting clubbing scene has emerged. Night clubs in select area can stay open 24 hours so if you want to stay up until 9am partying. Most clubs open up about 5pm with some opening at 11am but you may have to do some searching to find them. If you are coming into Singapore on Navy ship visit chances are you’ll be starting your party time at the base at Sembawang them heading to town after getting good and primed there on cheap drink prices but now that most ships pull in the Changi and the deep draft port you will have buses to take you to the nearest MRT station and from there you are on you own. This MRT line will take you right to Orchard Road and from there you can really hit all the major clubs with in a 10 minute taxi ride. For you smokers you need to know that smoking is banned in all bars but you will find more and more places with approved smoking room. The advantage of Singapore is that if you have to go out side to smoke the weather will be really nice unlike if you live in colder countries. The best known place is Zouk which has been around for many years and is still going strong with a large number of people going there all the time and from a wide range of ages due to the different venues it has within its wall. Over the past few years lager disco have been popping up in the Clarke Quay area which is now fully redeveloped has places like The Arena, Zicra, Gotham Penthouse and Attica which are great places to party and by Sentosa you have St James PowerStation which is said to be the larges entertainment center in all of Southeast Asia has been open for a year and sports 10 large night clubs. All of the discos have a cover charge but this usually includes a drink or two so you rally make your money back in the long run. Call before going if you are new to this place to check age requirements if you are a young clubber. The are different age limits for guys and girls. The disco draw a great crowd all the time due to guest DJ or special events held regularly which fans attend all the time. Opening time is about 4 to 5pm and close between 1 and 3am depending on the day of the week. If the next day is a public holiday they may stay open until 4am. Working professionals and visitors are the main customers. Drink prices will be in the S$10 for a mug of beer and up for other drinks during normal hours. I don’t know of any bar that doesn’t have happy hours prices. Fun places to go and meet people or hang out with friends. For visitors or Expats you’ll find your SPG’s hanging around in the more popular bars. Build in old shop house are smaller places but really fun, they are the larges number of watering whole in the county. You can find them everywhere. One word on pubs for you, stop in and check it out. What looks like dump from the out side could be really cool on the inside. A lot of pubs have pool tables and darts. Music will vary depending on where you are. Drink prices can get as low as S$5 for a mug of beer all night. One-for-one drink special during happy hours happens a lot. Jugs of beer and reduced prices make these a good place to party so be sure to order before H/H ends. Entertainment in the pub can range from bands to pole dancers, to karaoke singing. This is why you need to stop in the check out the place to see what they have and when. Some pubs have hostess working in them to join you for a drink or to sing a song with you. Most pubs have their regular customers and are friendly places to party. It is easy to spend the whole night in one pub having a good time. There has been a increase in the numbers of pubs that have girls working in then to keep you company while you enjoy your evening. Besides the Famed Orchard Towers which is known as “The four floors of whores”, there are other bars that we call Buy-me-Drink bars because in them you buy the girls drinks for their company with you. You can read about them under the Buy-me-Drink Section of the site. While Orchard Towers is best know for the working girls you will find then in just about all the big and lounges in Singapore so the trick is spotting then from the other hot girls in the clubs. The easiest way to tell is if she is not Singaporean or Caucasian chances are she COULD be working. People love to sing and Singapore has more than its share of KTV’s to sing at from large night clubs to small pubs. So depending on your budget will determine which place you visit. The larger KTV are very plush places with big rooms for your party group to enjoy. I would say these are for the high rollers ad people with lots of money to spend on a night out. To give you an idea of the cost Room Charges ranges from S$80 to S$250 for Happy Hours and S$100 to S$450 during Nightclub hours. This does not include extras like having a few ladies join your group. Your larger KTV’s are places like Deluxe Lido Palace, Dynasty Classic KTV Nightclub and Grand Dynasty Theatre Nightclub KTV & Lounge. The KTV pubs are much like regular pubs only they will have a few room which can used and a much reduced price. Places like K-Box is geared toward families and groups that don’t want that pub/night club feeling. The rooms are available for every size group but make reservation first to ensure there is one available. These are found at Sentosa Island which has to be the best place to go, other locations include East Coast beach area and Pasir Ris beach. Sentosa opens during the day time with the other are more of evening spots, so if you like the sun and relaxing head for the beach bars at Sentosa.